The American Development Model (ADM) provides age-appropriate guidelines and curriculum to hockey associations across America to help more kids play, love and excel in hockey. Brought to you by USA Hockey, in partnership with the NHL. RYHA began implementing the ADM Guidelines in its Under 8 (U8) program with the 2010-2011 Season and in its Under 10/Squirt program in 2011-2012. With an increased focus on age appropriate training, skills development, and smaller team rosters our players will have an exceptional opportunity to develop their skills, touch the puck more, and enjoy the game more. 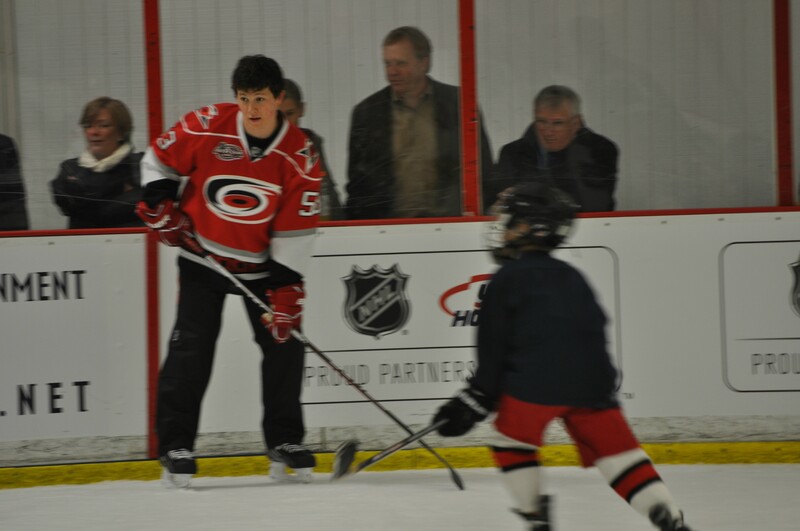 The RYHA U8/ADM program was showcased in January during the 2011 NHL Allstar game weekend. The event was attended by NHL, USAHockey, and Carolina Hurricanes executives such as Gary Bettman, Peter Karmanos, Jim Rutherford, and Dave Ogrean. 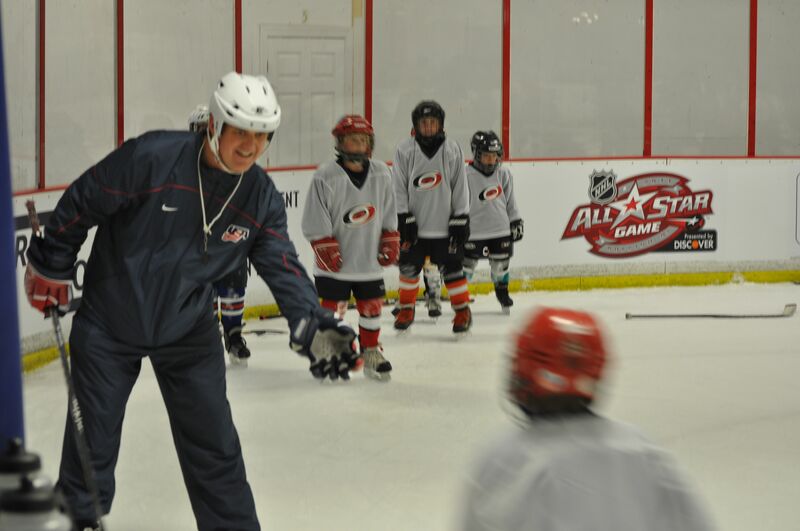 NHL players and coaches such as Jeff Skinner, Peter Laviolette, Jeremy Roenick, Grant Fuhr and Brian Burke assisted Scott Paluch of USA Hockey and local RYHA coaches on the ice. It was a great event and the kids had a lot of fun. The legendary coach Herb Brooks said, "Great moments are born from great opportunities." Well, the opportunity is now for us to get it right and I believe the American Development Model's (ADM) is setting out to accomplish just that! The American Development Model is a nationwide model focusing on the long-term development of American hockey players and allowing our kids to reach their full potential. The long term development of our young kids is essential. Skills such as agility, balance, coordination, stick handling and game activity are embedded into each practice plan in the ADM model which allows for each player to progress along a development curve within each fundamental skill area of hockey. Also with the inclusion of more cross-ice or even half-ice games you essentially increase the opportunity for increased touches per player and the players need to think and act quicker. If you think about it, other organizations across the nation such as US Tennis, US Soccer and US lacrosse are progressing in the same direction because the concept just makes sense. At the end of the day we can never lose sight that these kids are not little adults and in order for them to remain engaged they need be inspired on the ice! I have two sons 7 and 6 years of age that have been playing ice hockey in the ADM at RYHA for a few years now and their passion energizes and motivates me every day! Let's face it, if the first thing they want to do is shoot pucks in the driveway after coming home from hockey training, well then I think the ADM is heading in the right direction.